Five years after the publication of the final Harry Potter book, J.K. Rowling’s new novel – a book for adults – will be published today. Set in the small English town of Pagford, the novel clocks in at 512 pages and has been described as, “blackly comic, thought-provoking, and constantly surprising”. You can purchase the new novel over at Amazon. And what of Harry’s future? While Rowling has continued to dismiss suggestions of a return to the Potter universe, she did mention in an interview with the BBC that, “I have always left the door ajar because I’m not that cruel. If I had a fabulous idea that came out of that world, because I loved writing it, I would do it”. 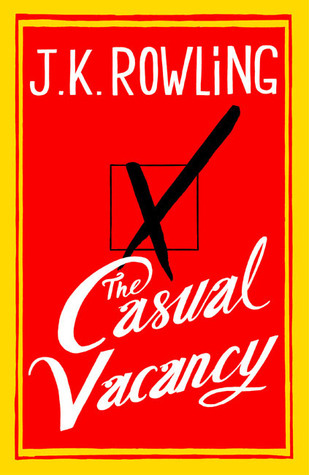 J.K. Rowling’s new novel for adults is called The Casual Vacancy and will be released on 27 September of this year. 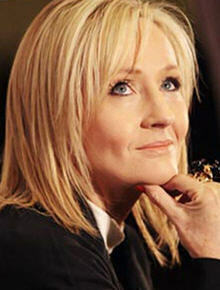 Jo’s website has also been given a revamp and features a comprehensive timeline of everything Rowling and ‘Potter’. While you’re at it, bookmark thecasualvacancyfanzone.com – it redirects to Harry Potter Fan Zone where we’ll be keeping you up-to-date with this new chapter in Jo’s literary life. Harry Potter author J.K. Rowling today announced that she is working on her first novel since ‘Potter’, a story for adults. Although I’ve enjoyed writing it every bit as much, my next book will be very different to the Harry Potter series, which has been published so brilliantly by Bloomsbury and my other publishers around the world. The freedom to explore new territory is a gift that Harry’s success has brought me, and with that new territory it seemed a logical progression to have a new publisher. I am delighted to have a second publishing home in Little, Brown, and a publishing team that will be a great partner in this new phase of my writing life. The title and release date are yet to be announced, but it’s safe to say exciting times lie ahead! Update: According to a tweet from Jo Rowling, the novel will be released later this year and will be, “very different to Harry”. She added, “I’ve enjoyed writing it every bit as much”.